﻿Satay sticks. Fish grilled on the beach. Nasi Goreng or fried rice. 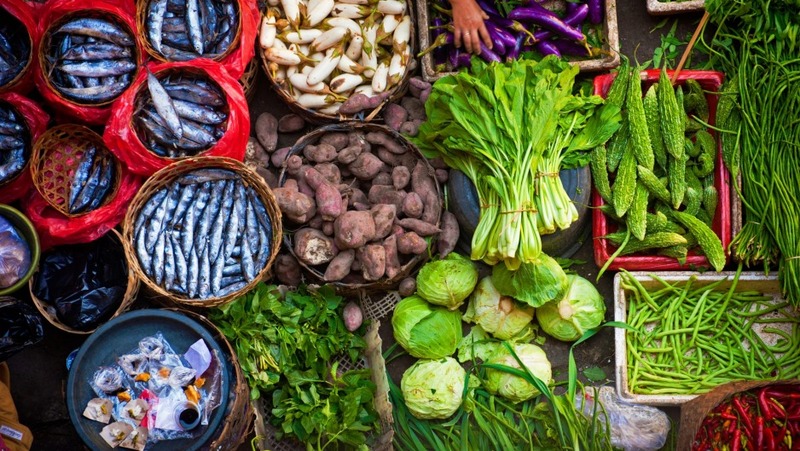 If this is all you know about eating out in Bali, it's time for a refresher. The Indonesian resort island has evolved into a serious culinary destination in the past few years with a never-ending supply of new restaurants, clubs, bars and cafes. Stoking the revolution are expat chefs who are fusing Indonesian and other cooking styles using Bali's drop-dead delicious organic produce, unique herbs and spices, constantly challenging the status quo. Among the first of these was former Melburnian Janet DeNeefe, who, in 1987 opened Lilies, a cafe in the tourist town of Ubud, amid the lush, green river valleys of Bali. Today she runs an empire that includes Casa Luna restaurant and cooking school, Bar Luna, fine-dining venue Indus and the Honeymoon Bakery and Guesthouse. DeNeefe has also made enormous contributions to the cultural life of her adopted island home. In 2004 she launched the Ubud Writers and Readers Festival to draw tourists back to the island after the Bali bombings; today it's south-east Asia's largest literary event. In 2013 she repeated the trick, kicking off the Ubud Food Festival. Last year 12,000 people turned up to eat at food stalls and seated dinners, attend cooking demonstrations and debates on sustainability, waste management, heritage ingredients and the like. This year's festival (April 26-28) promises to be bigger again, with more than 100 chefs, entrepreneurs, farmers, food writers, scientists and activists appearing at more than 100 free or ticketed events. "We chose the theme Spice up the World to show food lovers across the globe it's time they added Indonesian dishes to their list of favourites," DeNeefe says. "Food is, after all, the easiest way to access a culture." Despite its stellar growth, the festival has retained an intimate feel where master chefs and attendees mingle freely. Here are some of the wonderful characters who'll be sharing their Indonesian-inspired ideas at this year's Ubud Food Festival. Headlining the festival is Korean-American chef, author and reality TV star Judy Joo. A graduate in pastry arts at New York's French Culinary Institute, she's worked with Gordon Ramsay, starred on Iron Chef UK, was a judge on Iron Chef America and hosts her own show Korean Food Made Simple in the US. Joo will be speaking on a panel about what goes on behind the scenes at reality TV cooking competitions, sharing her recipe for lettuce parcels of spiced pork and pickles on the kitchen stage, and fronting the Ultimate Asian Barbecue Feast. "I will be cooking with two other chefs creating a 12-course culinary journey through Korea, Japan and Indonesia," she says. "This is my first time doing a pop-up in Indonesia. I'm very excited!" Hailing from Papua, the most remote province of Indonesia, Toto is the founder of the Jungle Chef Community, a network of Papuan activists promoting sustainable eating and environmental protection through indigenous cuisine. "Papua still has a lot of traditional ingredients and recipes that are completely unknown to the global community," he says. A festival favourite, Toto returns to Ubud this year to demonstrate how he cooks azarakwa nuhf, a traditional dish from Yamna Island in Papua's Sarmi District, made from breadfruit, cassava and coconut milk. He may have been runner-up on MasterChef in 2017, but through the process Ben Ungermann discovered his knack for desserts. After launching Ungermann Brothers ice-cream parlour in Ipswich, Queensland, last year, Ungermann is now working around the clock to open his second ice-creamery in Bali. He'll be taking time out of his busy schedule in April to show festival-goers how to make vanilla and bay leaf ice-cream, and Dutch spiced biscuit and pumpkin galettes with salted butterscotch. "I want to teach people that if you eliminate the stabilisers and use only natural ingredients, you can make ice-cream that's healthy for the whole family." After starting out at Sydney's Bayswater Brasserie and Level 41, Penelope Williams flew the coop to Bali in 2007 to become executive chef at Alila Hotels. Today she owns Bali Asli, a restaurant and cooking school in the foothills of Mount Agung, a little-visited corner of east Bali. "In other parts of Bali, the food is sweeter. They use a lot more palm sugar," she says. "But in east Bali, our food is spicier and we have ingredients that are hard to find like torched ginger blossom, which is pungent but floral with citrus undertones." It's just one of the ingredients Williams will introduce at the festival during her two-hour cooking masterclass on the cuisine of east Bali. Mastering the art of bread fermentation takes time. Ergo, the sourdough masterclass, one of the Ubud Food Festival's most popular tutorials, will be split over two days this year. Leading the class is Emerson Manibo of Starter Lab, a family-run bakery in the Balinese surf mecca of Canggu. A Filipino-American, Manibo learned his trade at the International Culinary Center in Classical Pastry Arts in New York and perfected his skills at Tartine, the San Francisco cafe consistently rated among the best bakeries and cake shops in the world. "The course is split into two days so we can ferment the dough overnight," Emerson explains. "There are lots of benefits to long fermentation other than the complexity of flavour. Bread baked this way has health benefits because it changes its composition and makes it easier for our bodies to digest." Originally from Canada, writer and activist Cat Wheeler of Slow Food Bali is dedicated to protecting the island's food ingredients and herbal remedies. "I'm going to the festival to talk about how the buni berry is quickly disappearing from Bali because of urban sprawl and demand from restaurants," she says. "The buni berry is a bit like cranberry, sharp and sweet; restaurants use it for cocktails, sauces, gelato and preserves. There's considerable competition for it. Some chefs pre-buy entire harvests from tree owners. We need to plant more of them urgently." After nearly 10 years at the helm of Mejekawi, the signature restaurant of Bali's original beach club, Ku De Ta, Byron Bay-born Ben Cross joined forces with a couple of friends last year to open Fishbone Local, a no-thrills seafood restaurant in the surfing mecca of Canggu. Despite stiff competition, Fishbone Locale is full almost every night, as is Mason, a meat 'n' veg version of the same concept. A festival veteran, Cross is going shoulder-to-shoulder this year with five other Bali-based chefs to create a five-course dinner plus canapes at Ubud's Mozaic restaurant. "Much like Australia, Bali is a melting pot, and the success of its cuisine is due to the fact that it's made of so many different cultures," Cross says. "We've got all these great chefs from all over the world who are really pushing boundaries, and at the same time the produce is getting better all the time." 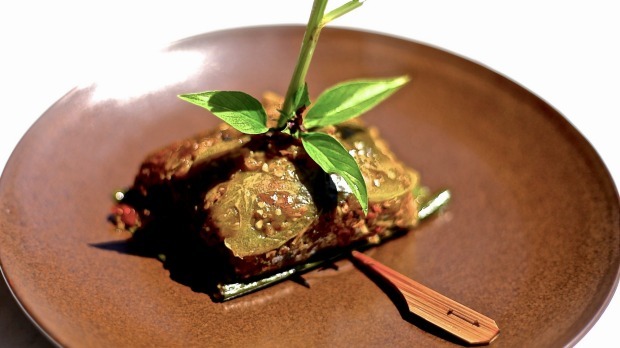 The Ubud Food Festival runs from April 26-28 throughout Ubud. Details: visit ubudfoodfestival.com.